For the past two years, I have been Senior Research Fellow at the Department of Anthropology, University of Durham, as Co-Investigator and Coordinator/Manager in the interdisciplinary research project GMFuturos. This project explores the voices, arguments and controversies in GM debates and regulation in three countries, Mexico, Brazil and India. 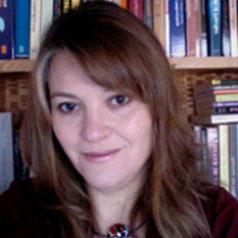 Within this project, my research interests are focused specifically on the socio-cultural and ontological dimensions of maize agriculture; on maize as object, subject, and social relation; on the role of science and scientists in GM debates; and on the political economy of a potential GM maize agriculture in the context of what Elisabeth Fitting (2011) calls the “neoliberal corn regime”. This project emerged from a previous research collaboration I had with agroecologists at the Universidad Nacional Autonoma de México. I have already submitted the first of many publications emanating from this research, an article about farmer’s voices and arguments in the GM controversy in Mexico written for a special issue of Agriculture and Human Values (forthcoming). Aside from my present research interests in the political economy of agri-food systems in the context of a global neoliberal regime, and in the moral value of socio-cultural and ethical public arguments against agricultural biotechnologies within scientifically dominated debates, the research interest that dominates most of my career is that of personhood. I have explored this issue from various perspectives and at different scales: in previous research projects, I have explored the constitution of “moral” and “immoral” forms of personhood through public health policy documents and practice in UK; and I have also studied the rhetorical constitution of agentive personhood between people and local catholic saints in indigenous communities of central Mexico. In the project GMFuturos, I look at maize as maker of people and of social relations, and as maize agriculture as a form of virtuous and joyful labour that constitutes moral personhoods. I have recently published several articles on the issue of personhood in public health (see 2012a, 2012b, and 2013) and another article on the rhetoric of personhood has been submitted to a special issue of ASAOnline, edited my Michael Carrithers. I also have extensive teaching experience: I have lectured at the universities of Glasgow, Edinburgh, and here at Durham, a wide range of Post-graduate and Honours courses.